Dial Gauge timing kit for inspection and adjustment of ignition timing. 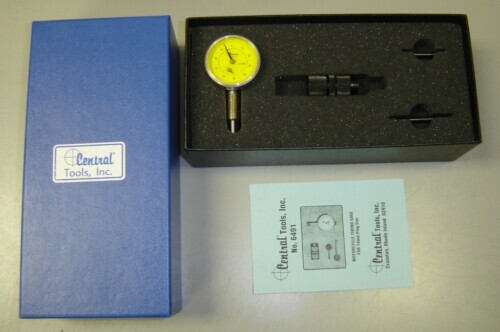 High quality, high precision instrument by Central Tools. 5.0mm range, .01mm increments, 0-100 sweep reading. 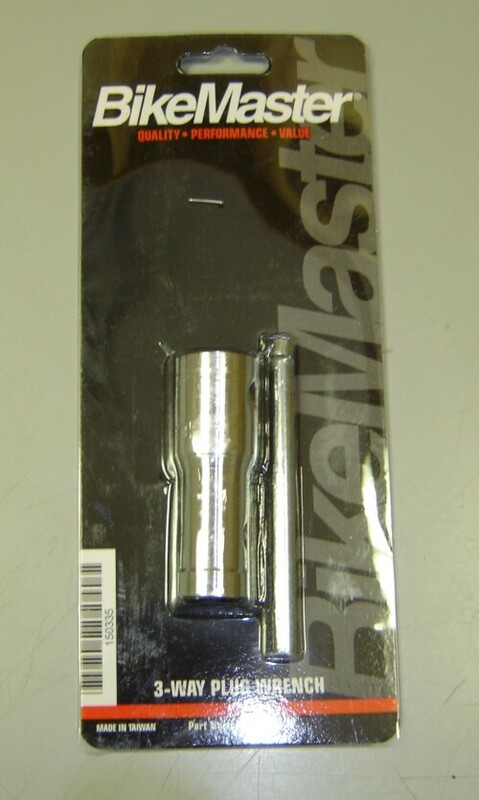 This gauge will work with the engine in the frame on RD's, R5, RZ's, and most bikes. Includes indicator with easy read yellow face, adapter and 2 threaded extension (contact) rods (1-1/2" & 2"), foam padded box and instructions. This is our recommended timing gauge and the same one we use in the shop. Replacements parts available. 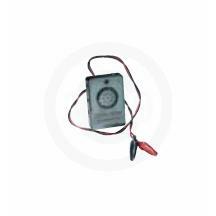 Iginition Timing Tester - Eliminates the guesswork when timing a points-type ignition. Allows you to concentrate on adjusting the points without having to look at your multi-meter for a reading, just listen for the audible tone to know when your points close. A switch allows for either a light or a tone at the moment of point closure Can also be used as a continuity tester. Spark Plug Wrench - 3 Way 14mm/12mm/10mm. Sold each.